Looking at those cute pet store puppies and wondering if you should buy one? If you are looking to get a small breed dog, an obvious place, to look, is your local pet store—it’s convenient, and you can take home your pet today, no questions asked. Sounds easy, well it is, but there are major problems with buying from a pet store. If you are looking at puppies, READ THIS FIRST, then decide if this is the place to purchase your new pet. When you buy a small breed puppy from a pet store, there is little chance the puppy will be healthy. Trust me, I made that mistake once, and I won’t make it again. I fell in love with a tiny toy poodle that cuddled in my arms and melted my heart. He was a silver small toy, gorgeous and looked just perfect. But why did he snuggle so calmly in my arms. He was sick, and I didn’t even know it. I just thought he was calm and loved me. Was I in for a shock? As I later learned, he may have been from a puppy mill that did not do any genetic testing, did not work or socialization and did not worm or vaccinate in the proper way. Costly vet bills and almost losing a super sweet puppy taught me that buying that little doggie in the window was not a wise choice. Many pet stores boast a guarantee when they offer small breed puppies for sale. But this guarantee is worth little, especially if you get attached to your puppy, and who doesn’t. Consider this scenario: a family bonds to a puppy they purchased at the local pet store. The dog gets sick and goes to the vet. 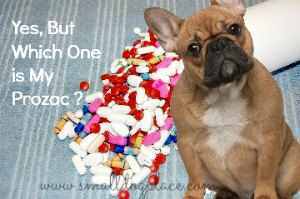 The vet determines that the puppy has a disease that can be treated, but treatment is extremely costly the family calls the pet store to complain. The pet store offers to trade the puppy in for a replacement. Sadly, the sick puppy faces euthanasia, and your replacement may not be any stronger than the first. Most caring puppy owners will not settle for a so called replacement but rather prefer to treat the puppy that has become part of their family. What a sad fate—your beloved pet is to be put to death, and you have a “so called replacement..” Most people would agree that this is not a real solution to the problem. If you purchase from a professional breeder, you will meet the puppy's parents. Seeing the parents gives you an idea of how your small breed puppy may look fully-grown, and whether they meet the breed standard and what size they may grow to be. You usually see where the puppy was born, the way the breeder treats the puppies, and most importantly, the opportunity to see litter mates interacting. But when you find the small breed puppy of your dreams in a pet store, you have no such chance. There won’t be any previous information about parents, grandparents or pedigrees. You may not even know if the dog is purebred or whether it has inherited any genetic diseases. You won’t be able to meet the breeder, ask questions and determine if the breeder is reputable. There won’t be any photos of the puppy’s parents or any idea where the dog originated. Puppies in one part of the country were likely bred, whelped and reared far from where the pet store is located. The puppy may have been trucked in from thousands of miles away, adding stress and trauma to his already shaky beginnings. Responsible breeders specialize in one or two dog breeds, at most, and they have extensive knowledge of the dogs. They will help you decide whether the small breed dog, which you choose is right for you, based on your lifestyle and current situation. They thoroughly know their breed and can make recommendations based on temperament, grooming, and even health concerns. In contrast, pet store personnel may know little about the breed. Their work is to sell breed books and provide information that may not be accurate. Most have little training or experience with the breeds at the store. 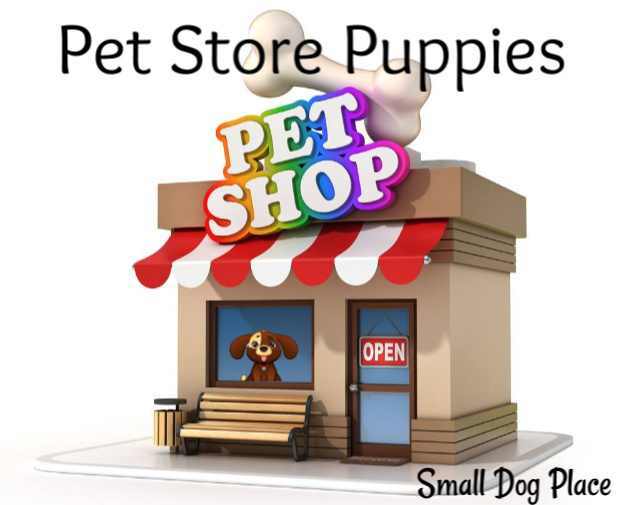 Their goal is to sell their pet store puppies as quickly as possible to make room for more puppies to enter the shop. An eight week old puppy is very cute, but if the puppy doesn’t sell right away, the harder it will be to sell. Pet Stores aren’t concerned whether the puppy is right for you. Rather they care whether you can pay the price of the dog. Small Dog puppies at a pet store have spent the majority of their life in a cage. Their cage is usually completely lined with paper that serves as his bathroom, his dining room, and his bedroom. They are forced to eliminate in the same area that they eat, sleep, and play, which goes against a dog’s nature. When no options are available, these puppies will continue to grow up with these tendencies making potty training hard for a new puppy parent. Professional breeders often start the housebreaking process for you; teaching puppies to eliminate outside, or on a puppy pad, walk properly on a leash, and stand still to be groomed. But the pet store puppies have no experience with housebreaking, and if they live at the pet store for very long, it will take even longer to undo their bad behaviors. Small Dog puppies sold in pet stores were likely separated from their mother too early. Puppies must arrive at the store by the time they are eight weeks old. This is the age where they are most likely to sell. To fit within this time frame, the puppies must be taken away from their mom and litter-mates by 5 or 6 weeks of age or even younger. They lack any socialization and training that the mother dog provides making them fearful of strangers and unable to inhibit their tendency to bite and nip. The pet store is a very lonely life for a puppy. With little to no socialization with all types of people, other animals, and situations pet store puppies, are at risk for a wide assortment of behavioral problems. It's also likely that the small dog puppy that you see in the pet store window has never been in a real home environment. Most importantly, these puppies lack the love, affection, and attention that most puppies need to be well balanced and ready to take on the tasks of an average dog. Where Was Your Puppy Born? Pet store puppies come from large breeding facilities far from where the store is located. They will tell you that the puppy comes from a local breeder, but that is usually not true, unless you live in a state where there are many puppies mills. Puppy mills are large commercial breeding establishments that skimp on heath care for the parents, provide little or no human interaction with the dogs and puppies, and force dogs to live in crowded, dirty conditions. Noise is deafening when so many dogs are housed under one roof. These facilities are regulated by the USDA and inspected, but requirements are minimal. Newer regulations have implemented stricter rules for the humane treatment, but it is still a kennel and they cannot duplicate the feel of a real home setting with children, adults, and all the hustle and bustle that accompanies normal family activity. No responsible breeder would ever put their small breed puppies for sale in a pet shop. Responsible breeders look for the best homes, keep track of their puppies as they grown to learn more about health problems, and provide assistance to puppy buyers throughout the lifetime of the dog. Retail stores are there to make a profit. The breeder/puppy mill wants to make a profit, the truck driver needs his cut, and there is usually a middleman or broker that makes all the arrangements. When you add up the number of people that are involved in selling the puppy, it is no wonder that the prices are high. Unless you are purchasing a show quality puppy with full AKC rights, puppies from breeders are always less expensive. There is no such thing as a bargain at the pet store. You will never save money with a pet store. 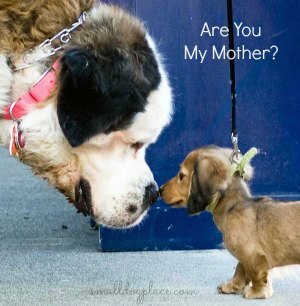 Moreover, you support all the puppy mills out there that depend upon pet stores to sell their puppies. Pet stores, which sell puppies, will stay in business as long as they have customers. There will always be a supply of pet store puppies because puppy mills house large quantities of females who have a litter on average twice a year. They may begin their mommy career before their first birthday and continue until they can’t produce any longer. Dachshund breeders in New Jersey. Once you’ve found a puppy you like it’s time to investigate the breeder. 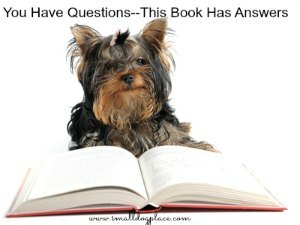 You might need to wait awhile for the puppy, but there is one for you -- Healthy, psychologically sound, well socialized, partially potty trained, and less costly than you may think. It might be a little more time consuming to find a good breeder, but pet store puppies are not a good deal.